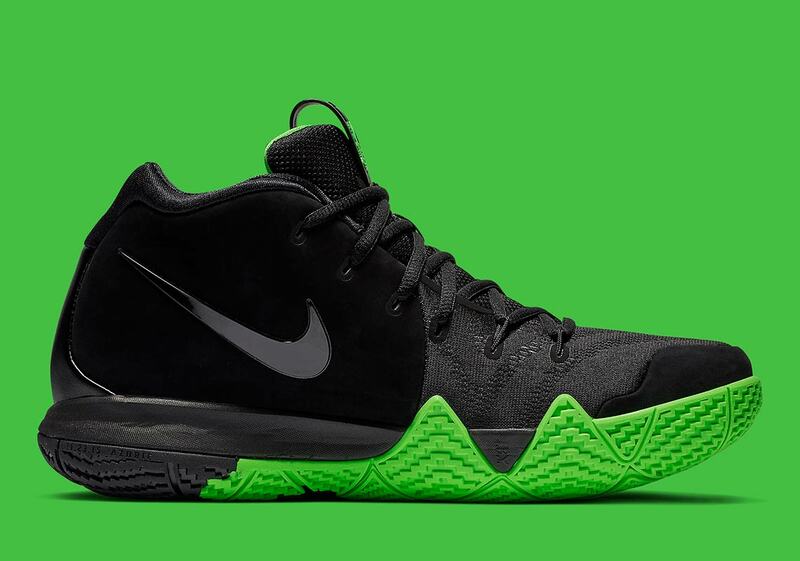 Kyrie Irving‘s Nike Kyrie 4 makes a strong case as the most enjoyable signature basketball line on the market today. 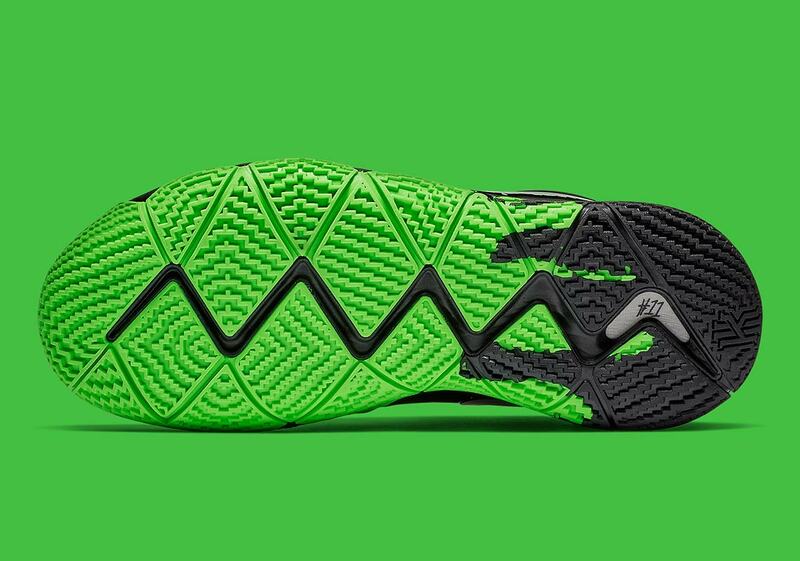 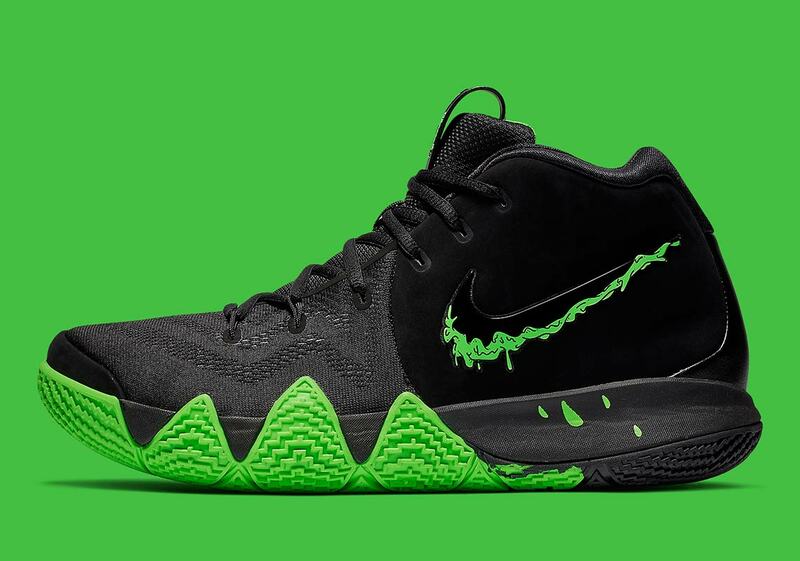 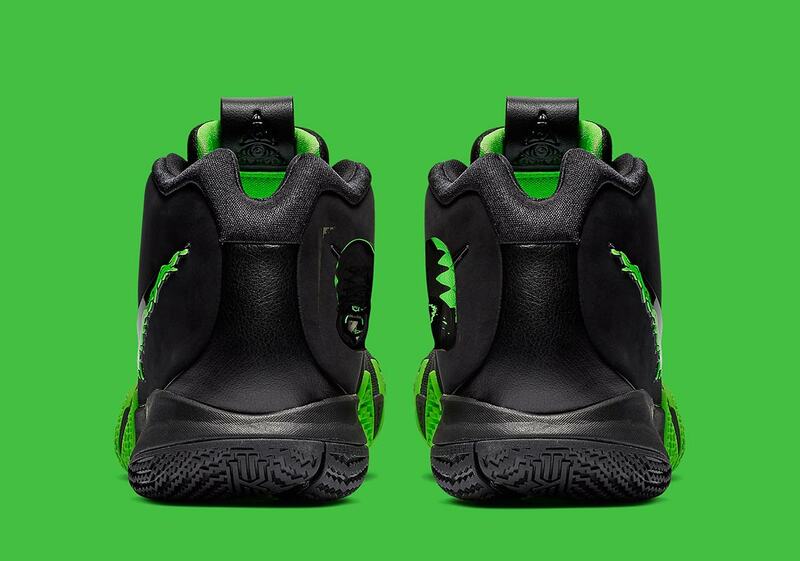 Designer Benjamin Nethongkome and the rest of the Nike Basketball team have created interesting colorways with clever backstories for the Boston Celtics point guard time and time again, and the latest Kyrie to join in on the fun is this new “Halloween” edition. 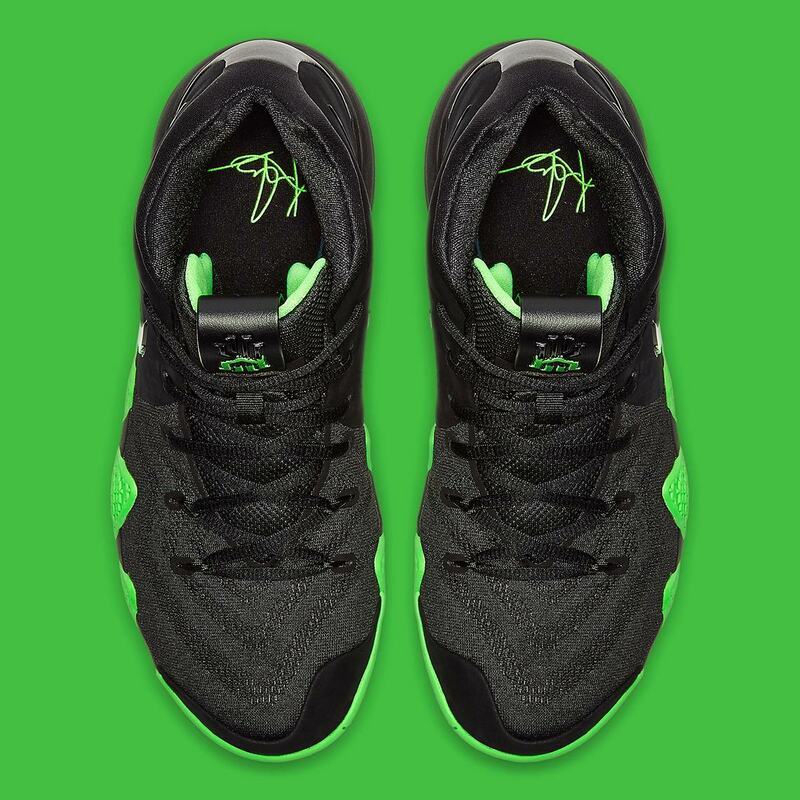 A pitch-dark black serves as the base for bold green accents on the outsole, Kyrie tongue logo, and the midfoot Swoosh, which features a dripping green slime effect that goes all the way down to the midsole — providing a look that’s reminiscent of the graphics used in the classic Goosebumps book series. 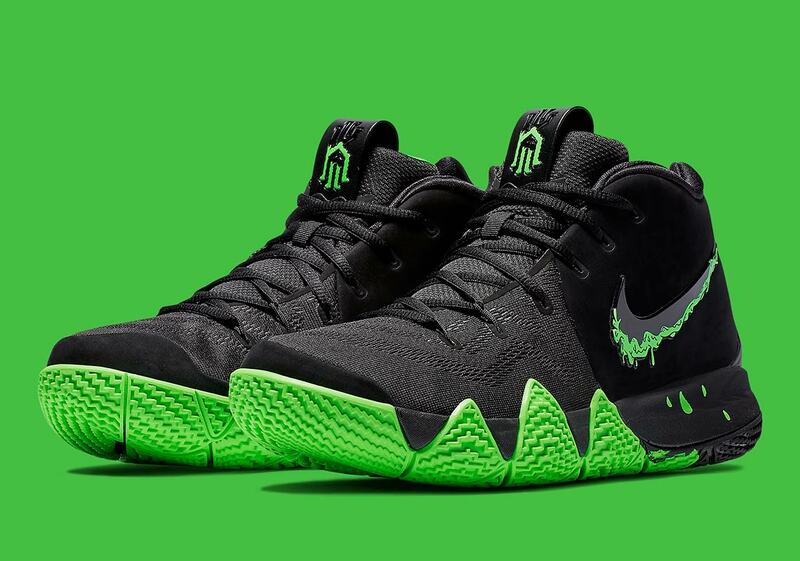 A fitting makeup for the beloved holiday, these slime-drizzled Kyrie 4s will arrive at the retailers listed below on October 16th for $120 USD.